Bark Box – Have you ever heard of it? I caught on to Bark Box via reading other blogs and I finally decided back in September that I’d bite the bullet and sign Watson up for a three month subscription. The boxes are created based on some questions you answer about your dog on their site and usually contain 5 things; 3 are treat-related and 2 are toys. Watson is not big on toys…and by not big on toys, I mean he doesn’t play with them. *sigh* Sad but true. The lack of toy playing is why I signed up for just three months (at this point). I don’t want him to become overrun with toys that I know he won’t play with…unless he undergoes a major personality change. 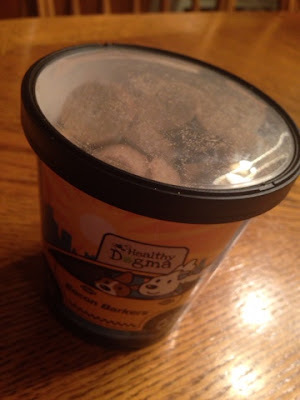 Watson received his first Bark Box back in late September – this post is sort of delayed – and so I thought I’d share what his very first box had and what he “thought” of his new things! Watson loved his package – he was so excited to sniff & investigate everything in it! 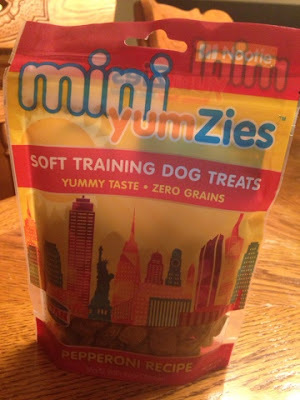 These treats are grain-free chicken treats and are very tiny; which is probably because they are training treats. Watson seems to like them pretty well and always gobbles them down when I give them to him. I don’t know that I’d seek them out in the store and buy them after this, but Watson liked them fine…so we’ll call this one a win. 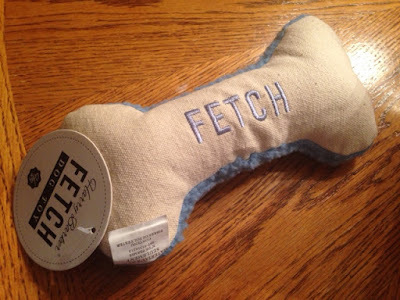 One of the “toys”; this is a canvas bone backed with berber fleece and stuffed with eco-friendly fiberfill made from recycled bottles. Watson has “played” with this for all of 3 seconds; the time it took him to take it from me and set it down, seriously. He is not interested and it’s just sitting in his bed. So, I guess this one is a lose – but I think it’s precious! A 10 inch bully stick that our information card says is 100% digestible, odor-free and dog-gone delicious! It was hand trimmed and made in the USA…and took Watson about 10 minutes to inhale completely. 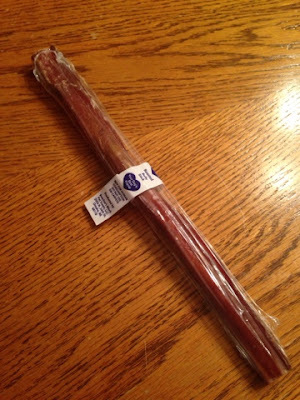 He loved it but when I found it what a bully stick is made of (google that if you dare) and learned that they are usually really high in sodium, I decided I wouldn’t be seeking them out for him to munch on anymore. 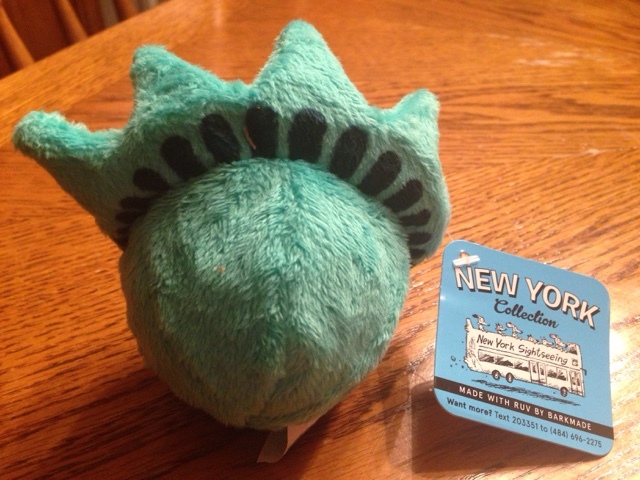 A durable rendition of Lady Liberty herself – this thing even squeaks when squeezed! Watson played with this for just a few seconds, hopping around and batting it, much to my extreme surprise. I might have gotten too excited that he was playing with it because I shouted excitedly and he immediately quit and walked away. It’s been sitting in his bed ever since…and when I squeak it, he looks at me funny. he’ll eat them but they aren’t his favorite. Watson doesn’t typically like cookie style treats as a general rule, so I was pretty sure he wouldn’t be interested in these…and while he won’t say no to them (he doesn’t say no to treats..ever) he will leave them laying around for a while before he decides to eat them. So – that was our first experience with Bark Box. The boxes normally ship on the 15th of each month, so we should be getting another one pretty soon and I can’t wait to see what the box has this month. Especially since I was able to go online and critique my first box so they could adjust accordingly for the next box. 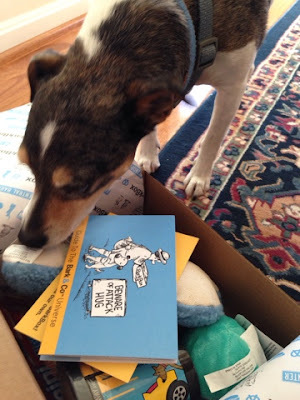 I’ll be back soon with another Bark Box review – with Watson’s help, of course!